Jon Stewart: Obama and Romney Play "Game of Loans"
Student loan interest rates threaten to tear Congress apart—sort of. 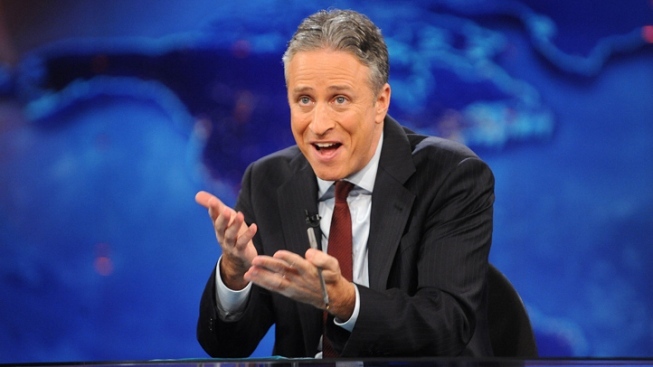 Jon Stewart wonders if the GOP has flip-flopped on abortion. On Monday's edition of "The Daily Show," Jon Stewart focused on the political squabbling over student loan interest rates, which the late-night host thinks is a ploy to capture the hearts and minds of American youth. "They say young people are in play this election year, so it's not going to be enough for presidential candidates to make those token MTV appearances and pretend they've got Jay-Z on their walkmen," Stewart joked. "These candidates are gonna have to do some really heavy duty pandering," he added. So, Decision 2012 is shaping up to be a "game of loans" between President Obama (who "slow-jammed" the issue on Jimmy Fallon's late-night show last week) and Mitt Romney (who has discussed the issue at public forums). While Stewart is heartened by this debate's potential for serious, searching policy debate in Washington, he is also the first to recognize that student loans—like most issues of national import—will get dragged through the hyper-partisan mud.